He comes for us all, our old friend death. He is fed in with the first breast milk. He is a suitor most loyal to his cause, keeps his promise eternally. at 530am before a cup of coffee while waiting for a flight (no, that is not the title of an attempted-poem rather it is the state of the poet so pardon what you will). At best faith offers that you will transition to a better place, perhaps that you will return as something or someone else, and if the Greek philosophers are proven wise you may find yourself in the Elysian Fields, for those who wish war upon themselves even after death Odin's Valhalla may be the best option for even witch doctors say you may be returned after you die but die you must, and the lawyers fond of finding ways out say their silver tongues are tied that taxes as a consequence of living are as inevitable as death thereby admitting that death is death, even that most flamboyant of writers, Wilde, gives Dorian a way out of his deal with the devil. On this we all agree, the exit clause is non-negotiable: it matters not how laden or hungered the path, how we tinker with the in-between for as we have come and so we must leave. In Botswana mourning is an extravagant ritual, and it begins at the point of bereavement and plateaus for at least a year after the fact. So now you are dead and what kept you, having left, dictates that your flesh must go the way of all things. The earth from whom your clay was stolen demands it be returned to her. Some say you walk all your days toward your death. That you wake one morning suddenly eager to travel only to never return. That when the time comes clay recognizes clay. But here we keep you frozen, for a week at least, even if death will not wait his party must. It will not be held until the weekend and even then early in the morning. Some bury immediately or soon after, a small percentage cremate, and even though the clear majority of Batswana identify as christian, tradition holds strong for certain ceremonies. Here christianity moulds itself around the local practices, the pastor will attend the wake at the home of the deceased, prayers will be held and on the last night a vigil kept. In a small sense as a Motswana the masses will likely gather twice in your name - for your wedding and for your funeral. Money is spent on flour, and time on making bread and tea. If like me, you crave quiet when your heart hurts you will not find it then. They will come in their hoards, with their well meaning hands and sing for you. It is a wonderful example of communal function that others will walk towards rather than away from you when you have fallen at some slippery place. Animals die, people pass away. We say swa to mean die, we say tlhokafetse to mean the same but for a person. I'm not certain of the words etymology but to tlhoka is to search for something and be unable to find it or simply to be without the thing (you want/need/seek) and so the dead are in a sense looked for but can never be found. It is considered impolite, crude to say one is dead. I'm told that not all cultures dictate staying at the gravesite for the entire throwing of sand on the coffin until its covered. In Botswana we stay. We sing Setswana funeral hymns and sometimes regular gospel songs. I don't think anyone cares whether you were christian they sing their idea of comfort and what they wish your departed spirit. Although some Batswana worked in the South African mines or went elsewhere for work or school, up until 1966 the majority of citizens lived in or very near where they were born. Informing relatives of death was probably as simple as wailing from the courtyard of your mud hut. Now we are scattered around the world, a large number of students study abroad, even locally the main university is in the capital city which is no one's 'home village' and even more students go there to study and never leave as the major jobs are in the city. If like me your home village is 9 hours away from where you work and live it takes time to apply for leave and gather sufficient resources to travel for the burial. And you cannot just turn up empty handed on the weekend, you must take time off (depending on how close a relative the deceased is) to help with meals for the daily evening prayers. I've heard that some people (possibly only men) are buried in the cattle kraal. Children/small babies are sometimes buried under the family home. One tribe very close to the city buries their dead in the corner of the compound they live in. Some aggrieved families break open the bedroom floor to bury the husband there. I do not know who digs graves elsewhere but here the hyenas do it. No, no not real hyenas it is what the grave diggers are called - not all the time only when a man, yes only men may dig, assumes the role of digging a grave is he then called a hyena. Phiri is the word, (plurals are mainly determined by adding or changing a prefix in the setswana language so phiri (sing.) diphiri (plural) ). This digging can only be done late at night in preparation for the burial. "When I first came here I was a bit surprised at how unemotional Batswana are at funerals, but now I realise it is not a lack of emotion, it's just the way here. My husband hates to see people emotional at funerals, he ridcules them even and believes they make the entire thing more difficult for everyone else. Last weekend we were at a relative's funeral. The oldest son was moving around laughing and joking with people, even at the gravesite, but I know him very well and know he was very close to his mother who we were burying. Maybe it was maleness, maybe it was Setswana-ness (actually Kalanga-ness) but it was odd, and for me and even more heartbreaking." Motswana born and raised elsewhere. Batswana are quite stoic at funerals, pragmatic even. Is there enough bread for the guests, who is keeping watch over the comfort (financial donation) book, have the children been bathed, are the funeral programs ready, have the uncles arrived etc. Also, many folks will spend the last night with the body in the house, after all you will likely bury on a Saturday morning before the mortuary is even open. A certain level of stoicism is required of one who must spend a night in the same room or house with the corpse of their beloved. The great themes are universal but we do not interpret them in the same ways, in Zambia I'm told there are mourners who weep, nay wail inconsolably, throwing themselves on the floor and rolling around. This is their way, I suspect you would be chastised here for manifesting grief in this way. Having just said how practical we all are I asked a successful local lawyer whether Batswana have a culture of writing wills. She capitalized her adamant "no" with multiple exclamations for effect. It gets messy, you read about it all the time; uncles taking property from the children, wives loosing homes or land to in-laws, the quality of life for the bereaved family can often alter for the worst, shockingly fast, especially where the deceased is male and possibly the only breadwinner *what a strange word*. I've been reliably informed that my last name in iKalanga (my tribal, not the national, language) means black. 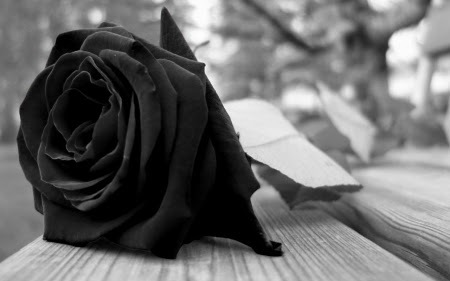 The proper word for the color black is tema for an object, ntema to describe a person, dema I'm told means a specific shade of black, one that is particularly opaque, dark; as one elder put it 'black that would be worn when in mourning'. A widow wears black for up to a year: black headkerchief, dress, shoulder scarf all day, everyday. The bereaved children have their hair shaved off completely and a tiny little piece of black cloth pinned daily to their clothes. If the couple is married traditionally there will often be a ceremony to cut the (spiritual) cord that binds the living spouse (read wife) to her deceased. She cannot (must not) engage in sexual relations with another man until this time has passed and she has been ritually cleansed. Windows at the deceased's home were covered in (open fire) ash. Traditional doctors were often buried in the dead of night, in the very very early hours. We used to bury people covered in cow hide, likely from the just slaughtered cow which would be had for the post burial lunch, in place of coffins. The capital was created in 1965/66 in time for independence, before then we did not have a city within our borders. Long story. So the city has developed structurally on the basis of some sort of plan while culturally it is a volatile melting pot. Folks come from every nook and cranny, every town and village to make a life in the city. They bring with them the sum total of their experiences, expectations and values and norms and all this cooks under the Botswana sun to produce all sorts of individuals and sub-cultures that tend to share a few markers - little time for traditional niceties, preoccupation with money and status and employment and when this meets the fairly national cultural expectations you get some exciting happenings. We now bury in coffins, although some folks with lots of cattle still cover the coffin with fresh cow hide. In the city some young people have what they call an "after-tears". This is a party, often with lots of alcohol so I'm told, to send off the departed. I think the young do it only for those who die young. What is young? Perhaps you are as young as you feel and therefore act, a 50 year old who lived for clubbing will likely get a send off such as this. I've heard of some people pouring liquor over the grave only once, which since I'm not grapevine-central, suggests that this happens. This, I think, is borrowed from certain American music videos mainly produced in the 90s. Small groups of people dress up in short dresses and stilettos as opposed to long skirts and flat shoes to be able to run around offering assistance. Funeral meals are sometimes catered instead of relatives and friends staying up all night to cook for hundreds of people. Although this is still considered by and large as ...ehem unusual and posh, where the young have money and "no" time, out sourcing is king. Women spend tens of thousands on their hair in the city so I'm not sure there will be much shaving of hair allowed by my generation. What I know we won't allow for sure, for the most part, is seantlo (it translates to the thing that goes to a house) which is when a woman dies and her widower takes her sibling as a replacement wife. I think only a few tribes ever practiced this. Perhaps the idea was that an aunt would best take care of her sister's children? That the Snow-White-step-mum scenario could be avoided. I haven't a clue but if this is the song thats playing I'm afraid sir that I'm not available to dance. A fellow writer points out to me, when she first moved here we used to cover the burial mound with stones and now we put steel frames with all sorts of ornamental designs on them. It is not required but it is often expected, Batswana respond splendidly to unspoken status challenges. "...when I first came here in 1989, the standard finishing off of a grave was to pile it with stones. And then there was the Financial Assistance Programme and everyone started welding and sewing businesses. The welders began making those little cages. They caught on and then they added little roofs with shade cloth ceilings." Often a year after the burial, family members return to place a tombstone and flowers over the now settled grave. Once when I was still too young to see the dead I went to my home village (I was born and raised in the capital city) to visit with family and one day I overheard the elders talking. It was as they say at the hour of the cow horn -so early one can only see the horns of the cows? your guess is as good as mine but it means a time earlier than dawn, said elders were going about the business of dressing for the funeral of a fellow village elder. "Oh yes it is bound to rain, the heavens will surely send this particular elder off the proper way." Although it was so dark all you could see were cow horns :-) above the morning mist, for the purposes of relaying this story I will say there was at this point not a cloud in the sky. It didn't rain that day, it poured. Caveat: Of course I'm generalizing, wrapping up 2 million people's choices and decisions and conditioning and cultures into a neat little blog entry. Each tribe has variations on the theme of sending-off and each family keeps and discards what it chooses, also as a city tenderfoot I must acknowledge that there are things I simply do not know but I hope you now see a little into my worlds within the home of a country that is Botswana.